Owing to decades of world economic meltdown, the productivity growth in most emerging economies’ signature industries now face threats of losing their competitive edge as well as operating below potential. In the face of this worrisome trend, economic activities in the global scene has plummeted and realigned with rising multiple forces, including the emergence of new urban consumers, technological breakthroughs and an enormous movement of global trade. Emerging economies can therefore, take advantage of these developments to compete favorably on the global scale and attain the status of world economic leaders in no distant time. 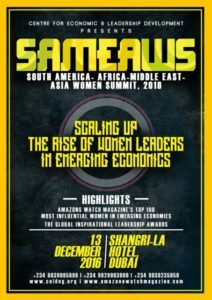 One way for emerging economies to lead in such elevated capacity is to pledge a renewed commitment in fostering STEM- Science, Technology, Engineering & Mathematics fields; as these fields represent the future of Innovation as well as drivers of productivity, and generator of long term economic growth and prosperity. According to the United Nations, the new global 2030 agenda will be dependent on STEM to drive robust economic and environmental sustainability as well as develop new and more sustainable ways to satisfy human needs, and empower people to pursue their own future and personal happiness. However, in order to fully maximize the timeless gains of STEM, emerging economies needs to find urgent solutions to the underrepresentation of women across all STEM fields. With the numerous empirical proof of the business case for diversity and inclusion as crucial to innovation and development of new ideas, it is therefore imperative, now more than ever, for these economies not to jeopardize a whopping 50 percent of its creative genius, its innovation, and economic drivers- women. In the same vein, as innovation increasingly serves as a key differentiator for world economic leaders, promoting gender diversity in STEM has become a key requirement to bring on board different perspectives, foster creativity and power the region’s innovation strategies. Such diversity of exchanges is most needed in developing nations where there is a growing challenge of limited energy access, food insecurity, and poor access to water and related diseases, over exploitation of natural resources, etc. While a lot of work has been put into understanding and tackling gender diversity in STEM, there is little knowledge on how this gap influences and intersects with innovation and sustainability in emerging economies. 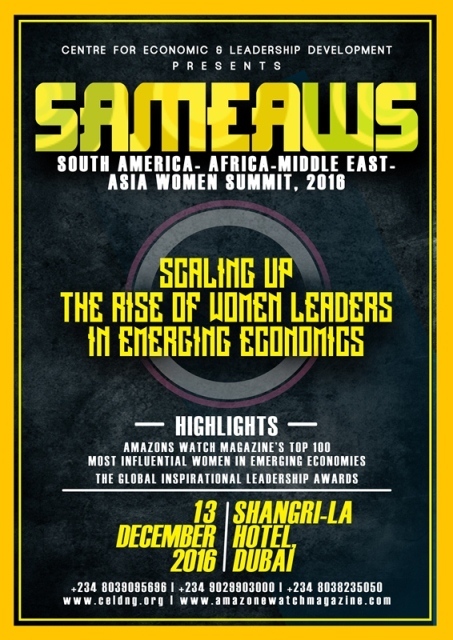 Therefore, the 5th edition of the South America- Africa- Middle East Asia Women Summit aims to bring together women leaders, representatives of heads of government, global private sector thought leaders and academia across all STEM fields– to explore the double impact of harnessing gender diversity to deliver robust innovation and sustainability in emerging regions as well as create new applied knowledge and evidence based practices. The summit will engage participants from South America, Africa, Middle East and Asia in research-driven and thought-provoking discussions over the course of two days. First Ladies on a Mission Session Part 2 (Part 1 is took place in New York on 21 September 2017). The Transformational CEOs: A Panel Discussion with Global Female Economic drivers. High Level Innovation Session: A showcase of diverse innovations for tackling global challenges specific to developing nations. 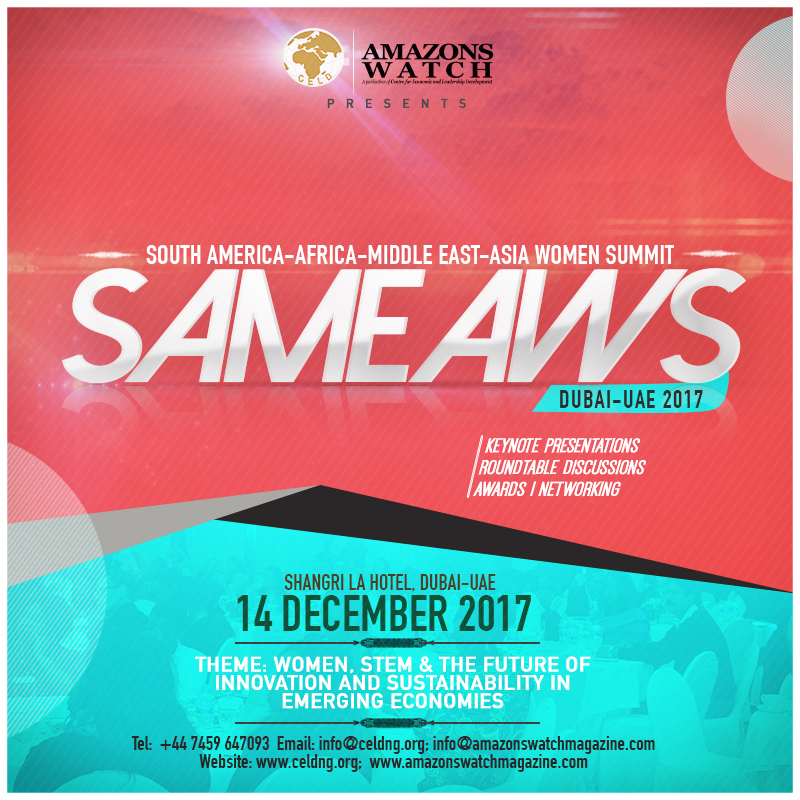 Amazons Watch Magazine Showcase and Awards to women and organizations across all regions, who are working to promote innovation and development in their communities as well as those championing the participation of girls and women in STEM, in a bid to encourage a replication of more efforts in this direction. 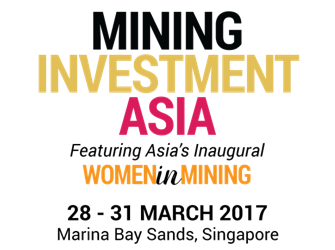 Mining Investment Asia, South East Asia’s largest mining investment conference, supports International Women’s Day (8 March) – a global initiative celebrating the achievements of women and calling for action to accelerate gender parity. Hence, for our third edition of Mining Investment Asiathis year, we have chosen to pioneer the launch of Asia’s inaugural ‘Women in Mining Day’ during this special month of March. ‘Women in Mining Day’ will be held on 28 March at Marina Bay Sands, Singapore, as part of the Mining Investment Asia Conference and Exhibition. Women have traditionally been under-represented in the mining industry. However, with recent announcements from major global mining companies such as BHP Billiton setting goals for 50% of their workforce to be women by 2025, it is timely to look into the role of women in this industry, particularly within Asia. More than 10 leading global and regional speakers will also be attending ‘Women in Mining Day’ to speak on issues of gender diversity for the mining sector and share their insights on the mining and investment climate. Attendees can look forward to engaging with speakers and fellow attendees through panel discussions, small group roundtable sessions and other networking opportunities. This milestone event is supported by partners such as International Women in Mining (IWIM) and Women in Mining organisations from Mongolia, Philippines and British Columbia, Canada. Mining Investment Asia (28 to 31 March 2017)is a premier mining event where developers, explorers & miners showcase projects to investors from around the world and mining technology, equipment and services companies exhibit their solutions, create demand and launch new products. This is part of the Mining Investment Global Series which has been organised by Spire Events Singapore since 2015. This series has expanded beyond Asia and was successfully launched in Nigeria, Panama, Oman and Botswana with new upcoming conferences to be held in Germany. More details on the various Mining Investment Conferences can be found at www.spire-events.com.